The Little Book For… The Performance Conversationalist. How to place regular communication at the heart of performance management. The traditional annual appraisal model is broken. Long live performance conversations. How to break the cycle of ‘box-ticking’ appraisals. The value of short, regular performance conversations. The importance of creating an outcomes-focused, trusting performance management culture. 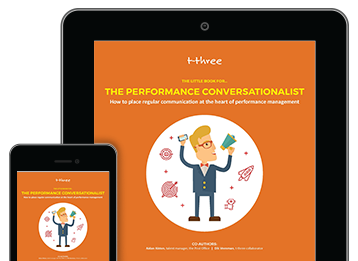 Discover how to revolutionise your performance management through regular performance conversations. Download The Little Book For... The Performance Conversationalist now. 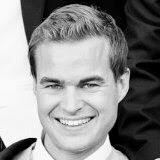 As a t-three group director, Anthony has one foot in the creative camp and the other in the commercial. Anthony thrives on firing up both hemispheres to help clients find elegant and commercially robust solutions to their biggest organisational development challenges.